Ever since Warner Bros. first announced Gotham City Sirens, which brings Margot Robbie back to reprise her Suicide Squad character Harley Quinn, there have been no shortage of casting rumors for the rest of the roles. Megan Fox has been rumored for Poison Ivy, while the most recent report claimed Haley Bennett was being eyed for Catwoman, And some believe Jared Leto may also return as the Joker. Director David Ayer sent out an intriguing photo through social media today, which may reveal who the villain actually is. There may be SPOILERS below, so read on at your own risk. Just a few hours ago, David Ayer sent out a comic book image on Twitter, featuring the iconic DC Comics villain Black Mask. Since he currently isn't attached to direct Suicide Squad 2, which may get Mel Gibson to direct, it seems logical that David Ayer could be teasing Black Mask's inclusion in Gotham City Sirens. Still, the filmmaker didn't add any accompanying text with the photo, and while he could just be having some fun with the fans, it's also possible that Black Mask is in fact the villain of Gotham City Sirens. Aside from Margot Robbie returning as Harley Quinn and David Ayer directing, there isn't much else known about this project, except that screenwriter Christina Hodson (Bumblebee spin-off) is writing the screenplay. Margot Robbie will also serve as an executive producer while starring as Harley Quinn in Gotham City Sirens, which will also feature a number of DC female heroes such as Batgirl and the Birds of Prey. Margot Robbie is essentially the sole reason this project is moving forward, starting with her research into the DC Comics world, which lead to her bringing on a writer to develop a movie with other female DC characters. David Ayer previously revealed artwork on Twitter that featured both Poison Ivy and Catwoman, two characters who had previously been mentioned as part of the story, but were essentially confirmed with that artwork. This time around with Black Mask, this is the first time we're hearing about his potential involvement. 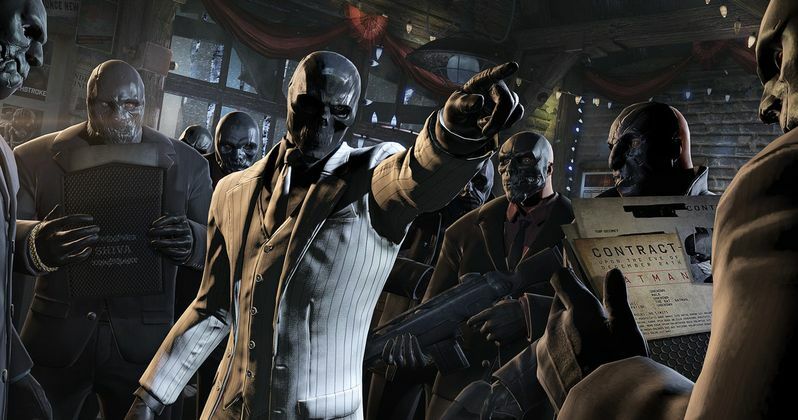 In the DC Comics, Black Mask was one of Batman's deadliest enemies, born Roman Sionis to affluent parents who were part of Gotham City's wealthy elite. After graduating from high school, Roman started working for the family busines, Janus Cosmetics, but after his parents forced him to call off his engagement with a model named Circe, Roman killed his parents and burnt their house to the ground, while inheriting the business. After being struck by lightning while trying to get into his parents' crypt, Roman was re-born as the Black Mask. In the New 52 comics, Roman's back story largely remains intact, although he was given a split personality disorder, with Roman Sironis one identity and Black Mask the other. We also reported in December that Will Smith wants to reprise his Suicide Squad role as Deadshot in Gotham City Sirens, but it remains unclear if any other Suicide Squad characters will be brought back. Even if it's true that Black Mask is the new villain in Gotham City Sirens, it isn't clear which version of the character from the comics will be used. Take a look at David Ayer's tweet below, and stay tuned for more on Gotham City Sirens.